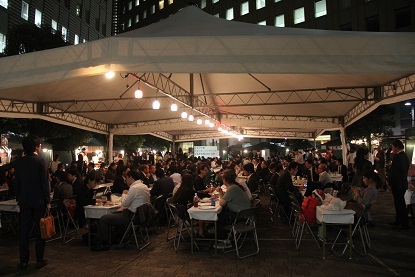 Shiodome Italia Town Pizza summit Japan 2014 which pizza chefs from all over Japan and someone who love Napoli Pizza meet is held this year too ! You can eat Napoli pizza that pizza chefs who represent to Japan bake pizza to cooperate only in this Napoli Pizza Summit ! Let’s have fun in this biggest Napoli Pizza Festival in Japan ! time 30 Oct (Thu) 5:00P.M.- 9:00P.M.